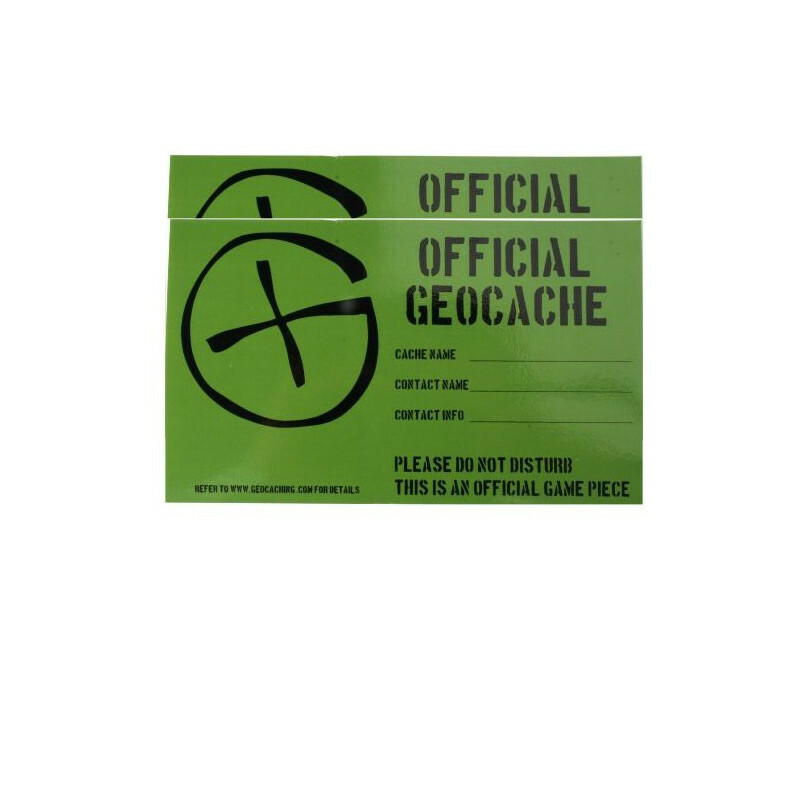 A geocache stickers which are made to blend into the environment with their dark green color. 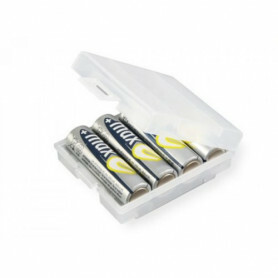 Made out of a high tack vinyl these stickers are water resistant to stand up to the elements. 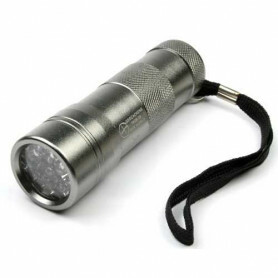 When found they are easily identifiable as an official geocache. There is space for you to write in the coordinates, cache name and owner, and also check boxes for where it is able to be logged.